Former U.N. 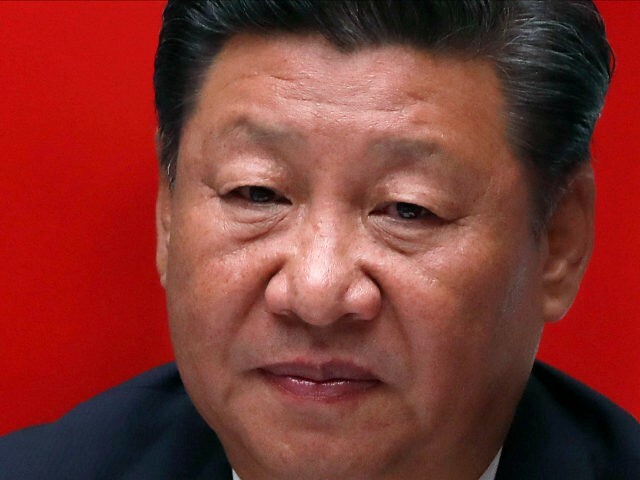 Ambassador John Bolton looked at the growing power of Chinese President Xi Jinping on Friday’s Breitbart News Daily with SiriusXM host Alex Marlow. He added that the upside to Xi’s unitary power is that he might be able to move quickly on some issues favorable to the United States, notably the confrontation with North Korea concerning its nuclear missile program. Bolton said Xi has been able to “harness a lot of credit for the economic growth” in China, even though current growth is arguably more attributable to market reforms implemented by his predecessor Deng Xiaoping. “What you’ve got is a very mercantilist policy, where the Communist Party dominates basically all the key economic decisions. A lot of the Chinese economic growth is overstated,” he added. “I don’t think it’s that that gives him the leverage. I think he’s a very crafty politician, and for years, in his first and second terms, he was engaged in what the West and the Western press called an ‘anti-corruption campaign,’” he recalled. “Everybody said, ‘Oh, what a wonderful thing; we’re all against corruption!’ Well, by the definition we use of corruption, practically every Chinese political official is corrupt. But just by coincidence, I’m sure, the politicians that Xi Jinping and his allies brought down tended quite substantially to be his political opponents as well. By this vigorous anti-corruption campaign, he was also cleaning away the political opposition,” Bolton said. “They are buying assets that they need in their manufacturing sector. Unlike most companies or even countries, they don’t buy their requirements for a particular mineral; they buy the whole mine in Latin America or Africa,” he noted. “For a long time, the West has bought into the argument, China’s illusion of a ‘peaceful rise’ – the buzz phrase that you hear that they’re going to be a ‘responsible stakeholder’ in world affairs; that’s another buzz phrase,” he argued. “Look, it’s a possible scenario, but it’s not the only scenario, and in my opinion, it’s not the most likely scenario. 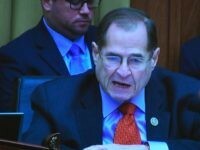 They’re not engaged in ‘peaceful rise’ activities right now as you look at what they’re doing with their military budget and their belligerent conduct in the South China Sea and elsewhere,” he cautioned. Bolton concluded by responding to Russian President Vladimir Putin’s announcement that Russia has developed “invincible” nuclear missiles that can penetrate American defense systems. “Putin has undoubtedly overstated the actual operational capability that Russia has, but make no mistake: China is, if not right behind him, only a step or two behind him,” Bolton warned. “This threat of missiles that can move at incredible speeds over long distances, just a very few feet above the surface of sea or land, and then suddenly pop up over their target with nuclear payloads is very, very dangerous and the kind of technology that you can expect even North Korea and Iran to be looking at very soon as well,” he predicted. “The world is a dangerous place. It’s filled with bad people, and it’s filled with people who don’t have the best interests of the United States at heart. If you’re not ready to protect us, we’re going to face consequences,” he said. “We’ve come out of eight years of dreamland under Obama. A lot of this that sounds shocking was actually going on during his presidency. It’s just that nobody paid any attention to it in the media and certainly not in the Obama administration. The bills are coming due for Donald Trump, and that’s why his agenda is so full,” said Bolton.